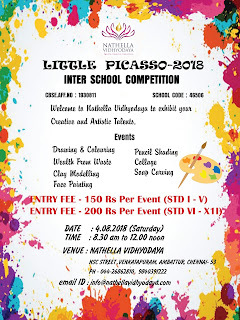 Nathella Vidhyodaya is hosting an Inter School Competition on 4th August 2018 (Saturday) between 8.30 a.m to 12.00 Noon. We invite entries from your school. 2. Drawing sheet will be given by the school. 3. Necessary art materials should be carried by the participants only. 4. 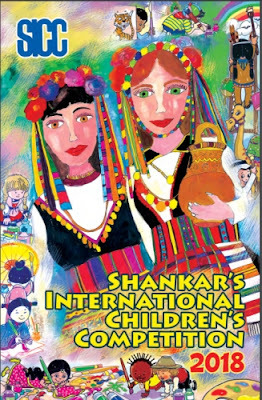 Students can use Water Colour, Poster colour and Oil Pastels for Drawing & Colouring. 5. 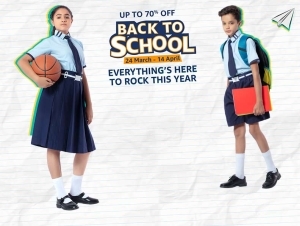 Students should come in school uniform and with School ID card. 6. Students should carry their own lunch and water bottle. 7. Results and prizes will be given away on the same day. 8. Participants should report half – an – hour in advance. 9. Bringing of pre-prepared materials will not be allowed. If found, the participants will be disqualified. Wealth from Waste, Pencil Shading, Soap Carving, Face painting Drawing and Colouring, Collage, Clay Modelling. 11. 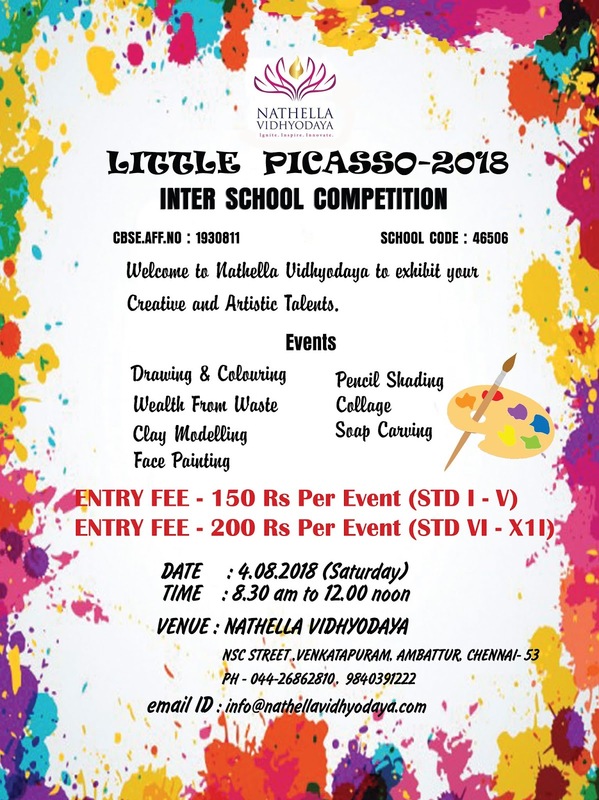 Highest number of participation, will fetch a special prize for the school. 13. Payment mode: Cash only.